There was supposed to be a presidential election in the Democratic Republic of Congo (DRC) on Sunday, December 23, but it got postponed. The current president, Joseph Kabila, was supposed to step down in December 2016, but he refused to step down and postponed the presidential election for a year. Then, in December 2017, he refused again to step down and postponed the presidential election for a year, until December 23 of last week. Kabila himself will not be running, since the constitution limits him to the two terms he has already served. Instead, he has a hand-picked successor, Emmanuel Ramazani Shadary. Many people believe that if Shadary wins, then he will just be a puppet with Kabila as the puppetmaster. So Joseph Kabila’s election commission (CENI) postponed the December 23 election for a week, until December 30. The reason given is that there were not enough voting machines. This week, there are new tactics. Kabila’s election commission said that the election will still be held on Sunday, but will be delayed until March in three cities – Beni, Butembo, and Yumbi. The reasons given for Beni and Butembo are that there are Ebola outbreaks in those cities and that voting would be “dangerous.” However, voting has not been delayed in other cities with Ebola outbreaks. The reason given for Yumbi is that there is violence in Yumbi. 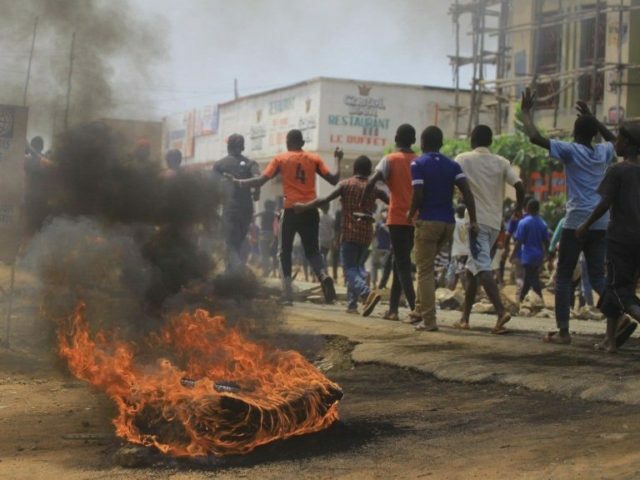 Of course, there is violence in many DRC cities. But what is special about these three cities — Beni, Butembo, and Yumbi — is that all three cities are strongholds for anti-Kabila opposition. Voting will continue as usual in other cities where there is Ebola or violence. So there are 1.2 million votes in these three cities, and there are 40 million registered voters in all of DRC. So Kabila has disenfranchised over a million opposition supporters.